We see privilege issues discussed in judicial decisions, legal commentary, and mainstream news. 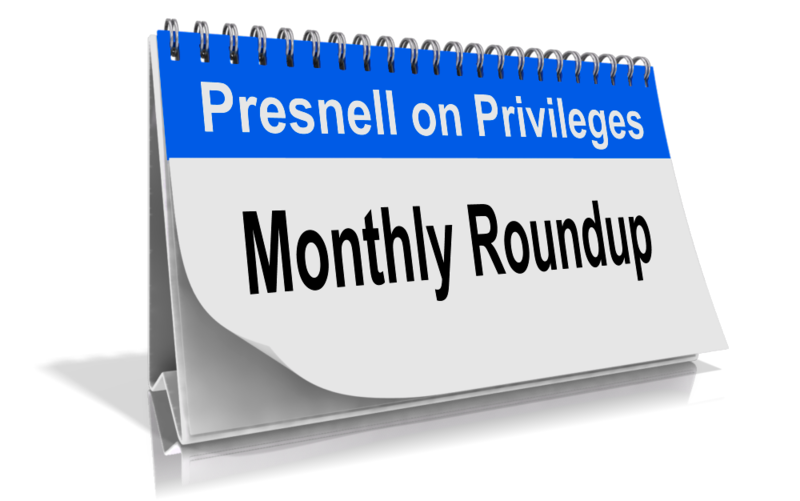 Here is my Monthly Privilege Roundup of interesting privilege issues for June 2018. → After much outrage and a presidential proclamation that the attorney-client privilege was dead (see my rebuttal here) after the FBI removed thousands of documents from Michael Cohen’s office, the matter is whimpering through June. After reviewing 229,000+ documents, the Special Master designated only 161 as privileged. See Judge Wood’s Order here. Perhaps the Special Master had trouble finding that the privilege applied given the many privilege hurdles discussed here. → Michigan State University’s Board of Trustees asked the Michigan AG to investigate the University’s handling of the scandal involving Larry Nassar, the former physician who abused several athletes over a 20-year period. The AG issued a search warrant specifically seeking the University’s privileged communications. Wow. The University filed a motion to nullify the search warrant. This developing story is one to watch. Read the Lansing State Journal story here. → A new novel by attorney Frederick Bruce, Murder at the Cathedral, centers in part around the attorney-client privilege, which puts a lawyer in a difficult situation when a client invokes it. Obviously, this is a must-read. See the book review here and purchase it here. → Are you an in-house lawyer looking to move to an in-house position at another company? 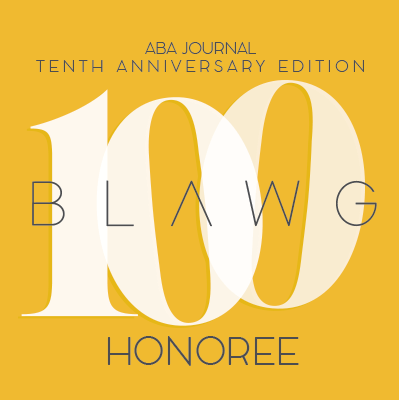 This Above the Law article is informative, and questions how you can answer any interview question without violating the privilege held by your current employer. Read it here. → Republican U.S. Senate candidate from Missouri, Josh Hawley, paid attorneys to review his communications while a University of Missouri law professor before releasing them in response to a public-records request. Reportedly, it’s “rare” for a government employee to retain independent counsel to do a pre-production privilege review. See the WMOV story here. But is it wrong? Sounds prudent to me. → In the Philippines, the government’s revenue agency issued a memorandum requiring lawyers to divulge their clients’ tax-related information. In an excellent op-ed in The Manila Times, lawyer Florian Salcedo defends the privilege against this new intrusion. Read it here.